'The Year of the Boar': Listen..
Insurance company IGA funds $1..
MTSU students who’ve wanted to study in a foreign country can consider an exciting new opportunity that will take them to an island country in the South Pacific that they may have seen in the “Lord of the Rings” movies. This May, a group of university students will be exploring the North Island of New Zealand. The 16-day trip is a part of MTSU’s Education Abroad Program, which offers opportunities for international education in more than 65 countries. “I’m very excited to be leading another trip to this amazing country, ” said adjunct professor Ray Wiley, associate director of campus recreation. The course, “Cross Cultural Perspectives in Leisure and Tourism,” is offered through MTSU’s Leisure, Sport, and Tourism Studies Program , and is open to university students. Class openings remain, and scholarship funds are still available. 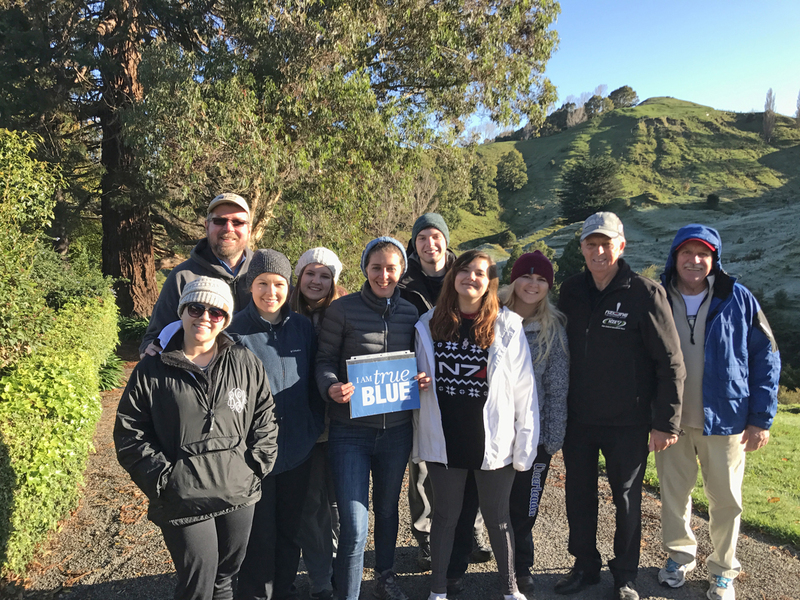 The three-credit-hour class also is interdisciplinary, and Wiley said it includes topics that will strengthen students’ historical and cultural understanding of New Zealand by participating in leisure activities and ecotourism. Wiley added that the course will provide experiential learning opportunities by informing a wide variety of majors from both scholarly and professional perspectives. Participants also can gain an in-depth study of leisure in New Zealand’s culture through on-site participation and observations. “Our group will be very active on this trip, as we will be outside every day learning about the land and the people,” Wiley said. Topics will include New Zealand’s effect on hosts/guest relations, leisure management, and conservation and preservation of cities, parks, farms, vineyards, aquatic and plant life, and local historical sites. Students will participate in activities that showcase New Zealand, including hiking, white-water rafting, mountain bike riding, deep-sea fishing and a trip to the Hobbiton Movie Set, which was featured in the “Lord of the Rings” movies. The group also will visit cultural and historic sites, including the Waitangi Treaty grounds, New Zealand’s most significant historic site, where a peace treaty between the indigenous Maori people and the British crown was signed. For more information about the trip, contact Wiley at Ray.Wiley@mtsu.edu.